Seasoned yachting journalist Amanda McCracken has visited St Barts more times than she cares to remember. Here, she offers her tips on the best places to eat on the island. The best place for yachting and people-watching is undoubtedly the capital, Gustavia. It has luxury shopping with top brands, where you can buy your must-be-seen-with Louis Vuitton beach bag. The tiny boutiques off the main drag are a great place to buy beachwear. Restaurants popular with charter guests include the On The Rocks restaurant at the Eden Rock Hotel, which stands out to sea and has stunning views. If lunch with your feet in the sand appeals, La Plage Restaurant at the Tom Beach Hotel is the place to go and enjoy simple but beautifully-served Caribbean cuisine with a French twist. There are even fashion shows to enjoy while you eat. If you fancy watching the superyachts come and go, while enjoying some stunning Caribbean salads, book a table on the terrace at the Harbour Saladerie, on the opposite side of the harbour to Gustavia. 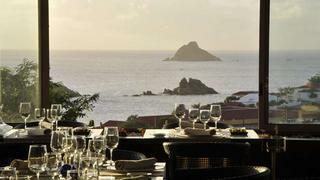 Similarly, Carl Gustavs Lounge at Victorias in Gustavia is the place to go for a drink or dinner with a wonderful view. For beach-front lunch or dinner, try Dõ Brazil at Shell Beach, the perfect setting in which to watch the sun go down. Sit high up in one of the wooden open-rafter seats for the best views. 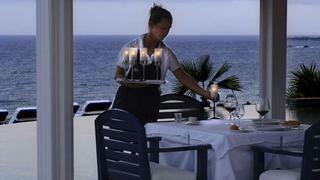 For lobster and one of the loveliest beaches in the Caribbean, La Langouste in the Bay of Flamands is the place to go. Mayas French restaurant, tucked in the corner of Gustavia Harbour with great views at the waters edge, is very popular with superyacht owners during the St Barths Bucket. The cuisine is French, and atmosphere relaxed. And two final St Barths institutions  brunch at Hotel le Toiny will keep you going all day, and LIsola Italian restaurant is a lively and fun place for a less formal dinner.